Analysis: Specialist statistical analysis paints ugly picture for England’s attack, reinforces Scotland’s attacking superiority and Ireland’s iron clad game. 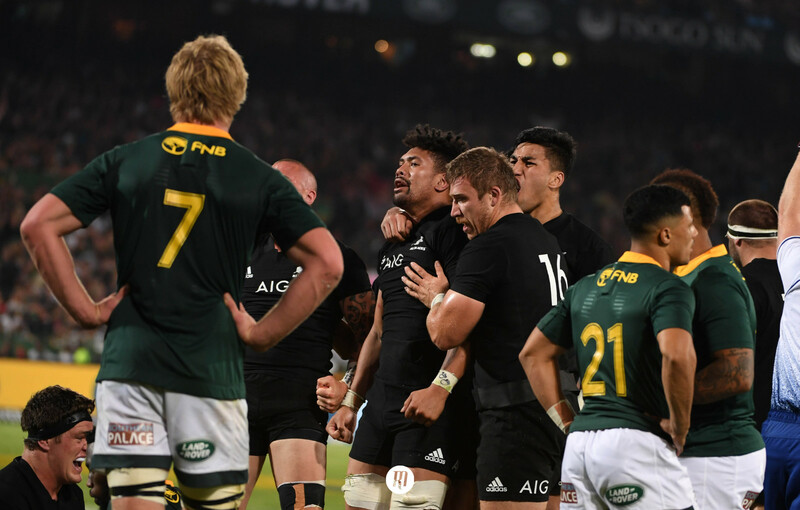 Specialist statistical analysis untaken by Simon Gleave of Gracenote Sports presents the capability of the world’s top rugby nations to create scoring opportunities, capitalise on said opportunities and how efficient they are at scuppering their opposition’s try-scoring endeavours. 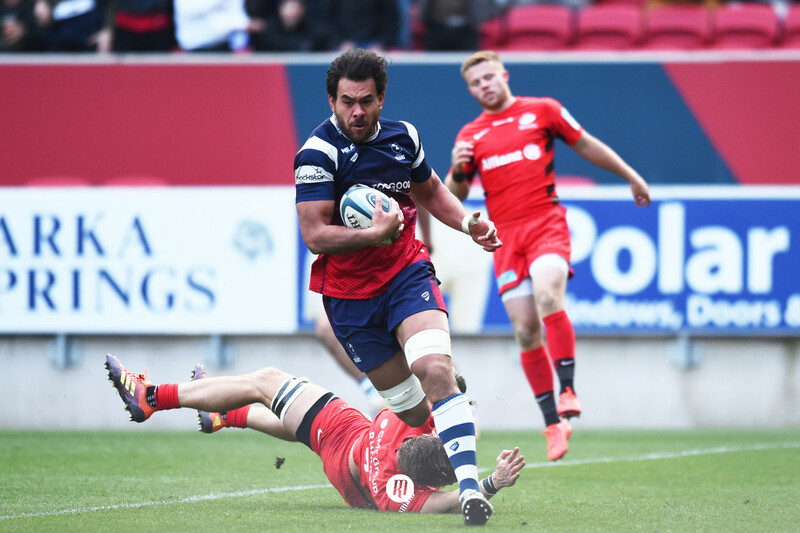 Specialist statistical analysis undertaken by Simon Gleave of Gracenote Sports presents the capability of the world’s top rugby nations to create scoring opportunities, capitalise on said opportunities and how efficient they are at scuppering their opposition’s try-scoring endeavours. 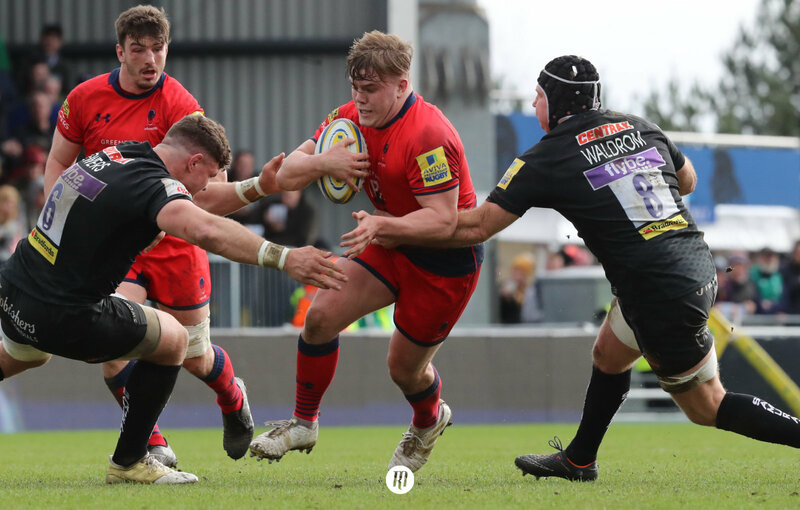 Specifically, Gleave has tracked every entry into the opposition 22 in matches between the nine leading rugby nations over the last 18 months. 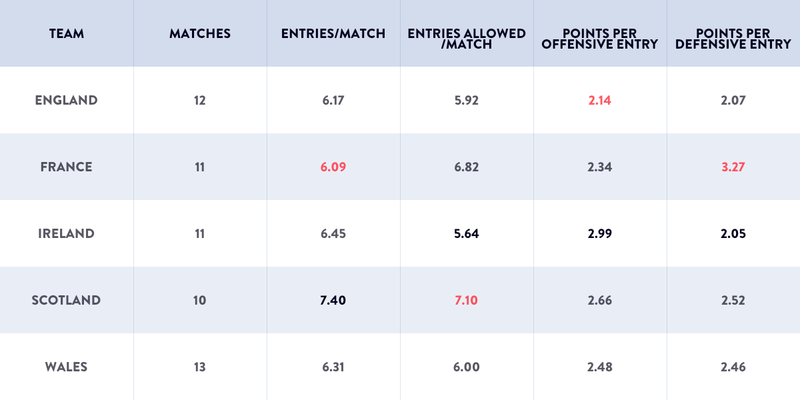 This analysis is the most accurate method of tracking a team’s scoring efficiency in the ‘red zone’ and offers a fascinating insight into this year’s Six Nations competitors as we head into the competition. In typical Joe Schmidt fashion, Ireland boast the most iron-clad defensive figures, conceding an average of just 5.62 entries into their 22 per game and concede 2.05 points per entry. When running the microscope over Ireland’s attacking game, only Scotland can boast a higher rate of offensive entries at 7.40 to the Irish’s 6.45. However, it is the men in green who possess the most the highest efficiency. Spearheaded by Johnny Sexton, Ireland claim an average of 2.99 points per entry into their opponent’s 22, with Scotland average 2.66. Quite typically, the stats reinforce the monstrous efficiency of Schmidt’s side. The challenge for the men in green is whether they can back up their stats this year with the pressure of the favourites tag? It is not a title that has sat well with them in the past. Despite a disastrous tournament last year, England can claim the second best defensive stats within Gleave’s study. Only Ireland conceded fewer defensive entries than England’s 5.92 and a lower average number of points conceded at 2.07 for England compared to Ireland’s 2.05, minuscule margins. England’s newly appointed defence coach John Mitchell will be keen to retain these numbers, with only Ireland and England keeping their opposition to lower than 6 entries per fixture. The concern for England comes in form of their attacking stats, averaging the lowest number of points per entry at 2.14. Only France have a lower number of attacking entries at 6.09 to England’s 6.17, both falling some distance behind Ireland and Scotland. While the old adage of ‘defence wins championships’ does stand the test of time, England will not manage to capitalise on their impressive defensive numbers without improving in their attacking efficiency. 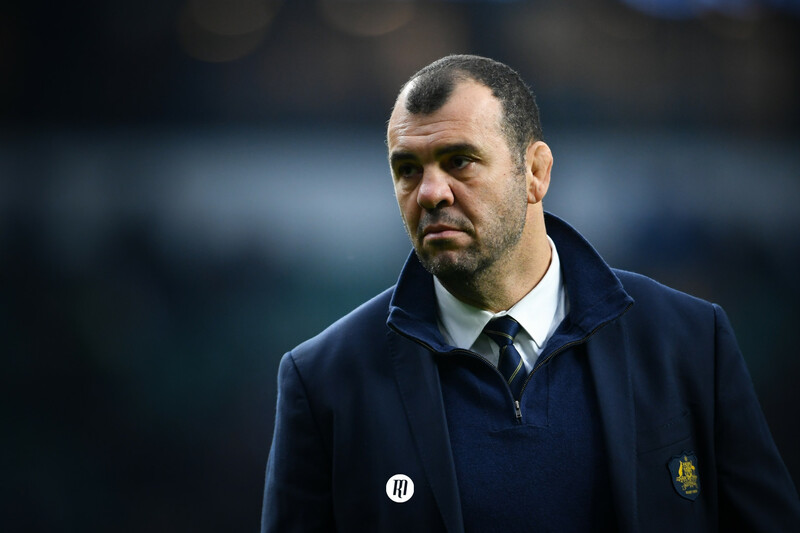 In particular, they will be hard-pressed to crack the hard green line of Andy Farrell’s defence this weekend without a step up in their offensive capabilities. As mentioned above, Scotland claim the most impressive attacking stats in the tournament, with their average of offensive entries standing a healthy 0.95 higher than Ireland’s 6.45. Falling 0.33 points short of Ireland per entry into their opponent’s 22 is also not a stat to be sniffed at. However, their defensive statistics makes this analysis hot and cold reading for fans of the Thistle. While they are the only side to claim higher than seven entries per match going forward, they are also the only team to concede more than seven defensive entries per game. Fortunately, Gregor Townsend’s side save their blushes by preventing their opponents from capitalising on their entries, at an average of 2.52 points conceded, some way behind France’s 3.27. Despite their piercing attack, Scotland still possess a soft underbelly and will have to show significant improvement if they are to compete for a top-two spot this year. Simmering along, Wales sit in the middle of each category, with unremarkable stats suggesting either mediocrity or stability, depending on whether your glass is half full or empty. 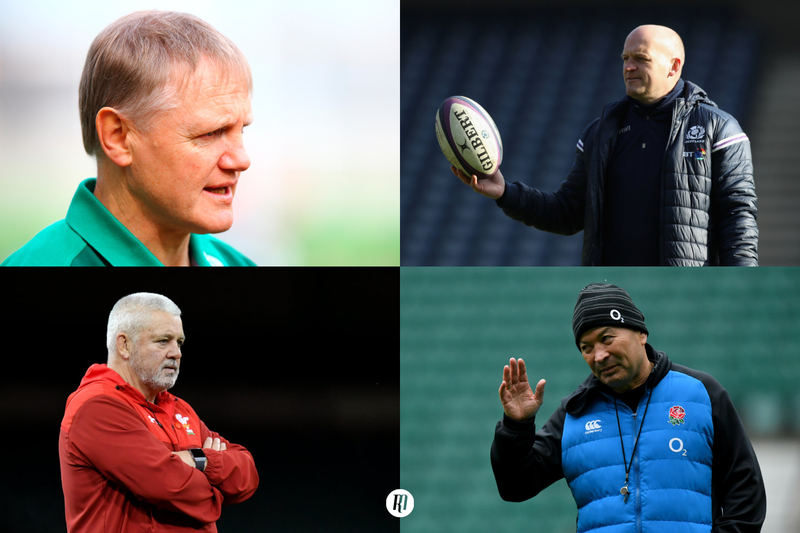 A hugely successful autumn campaign in terms of results may suggest Warren Gatland’s side are set to break these trends in his final Six Nations in charge of Wales, but will have to drive onwards and upwards with harsh intent to stand toe-to-toe with Ireland this year, as Gatland will so desperately desire. As ever, the French head into this Six Nations as unknown quantities and with the aforementioned statistics painting an ugly picture for Jacques Brunel’s side, first assumption would be for a fifth-place finish. In an ever-changing XV, the stats below could take a sharp turn, for better or worse, this year. A 22 entry is recorded if a player from the attacking team crosses the opposition 22 in controlled possession of the ball. If the ball is knocked on, lost in a ruck or the player in possession goes into touch immediately after crossing the 22, no 22 entry is recorded. If the attacking team kicks the ball into the opposition 22 from outside, it is only regarded as a 22 entry if possession is regained inside the 22. If the attacking team leaves the 22 without losing possession of the ball, points scored from the attack (ie penalties or drop goals) after the team has left the 22 are still counted as part of that 22 entry. If the attack re-enters the opposition 22, it is regarded as part of the same 22 entry as possession has not been lost. If the attacking team loses possession inside the 22 but regains it without the defensive team leaving their own 22, anything that happens subsequently is regarded as being part of the 22 entry. If the attacking team turns the ball over inside the opposition 22 and the defending team clears the ball out of the 22 but it is immediately returned into the 22 (see England's winning try against Wales in 2017), this is regarded as two separate entries to the opposition 22.